Spirituality, poetry and inner growth – how they are connected? October 3, 2016 October 3, 2016 by Maja Todorovic, posted in Business in Rhyme, Read, write, lead!, Write, create, innovate! Did you know that we can trace origins of word ‘spiritual’ back to the ancient times and it comes from latin word spirare which means to breath and in larger sense it can relate to life itself and living energy force? 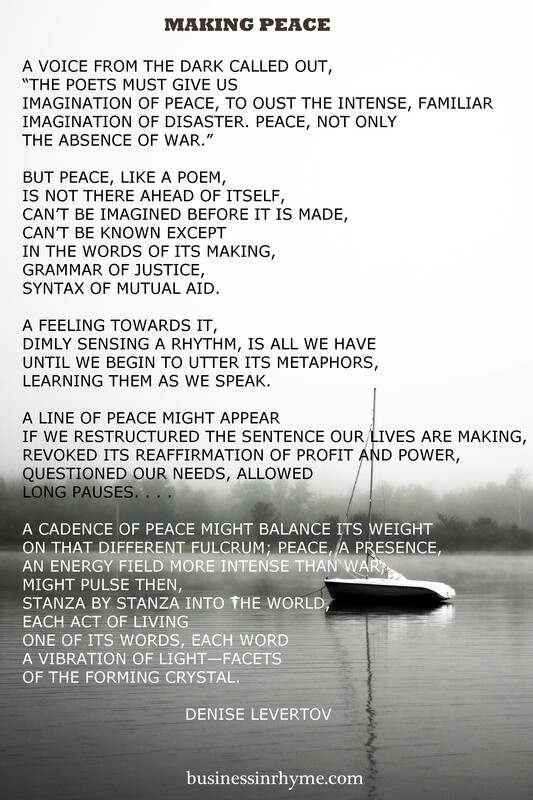 Taking from these meanings, than anything connected to the pure act of breathing has a spiritual connection, and so does poetry. A self-actualized spirituality in the most broaden sense might be an acquired integrity, a Self that is truly aware of here and now, and takes actions with compassion and kindness. For me personally, spirituality also means accepting life and the change that comes with it, learning to navigate with the flow and with the given resources and knowledge make the best of any given moment. It also means dropping the guards of ego-driven principles and having trust in uncertainty, unpredictability of life. Instead of I there is also we and they; there is no scarcity – only abundance for each uniqueness we represent; experience and appreciation for any moment and emotion instead of burdening myself with material stuff. And finally it is also about connectedness, being true and open to yourself and learning to trust your own honesty. All these integral parts can be experienced through poetry and let it be our vehicle for learning and growth. Starting from that vantage point of how life should be we work through all that is happening to us – we observe and feel, until we get to an understanding that our perceived reality is as it is. The moon in Japanese poetry is always the moon; often it is also the image of Buddhist awakening. This poem reminds that if a house is walled so tightly that it lets in no wind or rain, if a life is walled so tightly that it lets in no pain, grief, anger, or longing, it will also be closed to the entrance of what is most wanted. Ant that openness to life is our first gate and allowing we give ourselves to enter the spiritual growth. Issa’s singing cricket is Cavafy’s “great Yes” in action. The haiku offers a portrait of the circumstances of all our lives. Carried by capricious currents, certain to die, we nonetheless fully live. Nature always knows the best way to express itself and in the most difficult circumstances finds a tiny sun beam and a drop of water to carry on life. We all have that knowing in ourselves, but in the process of making a living we forgot to live. And what I most like about poetry is it reminds me, teaches me and supports me in this process of learning to live again. 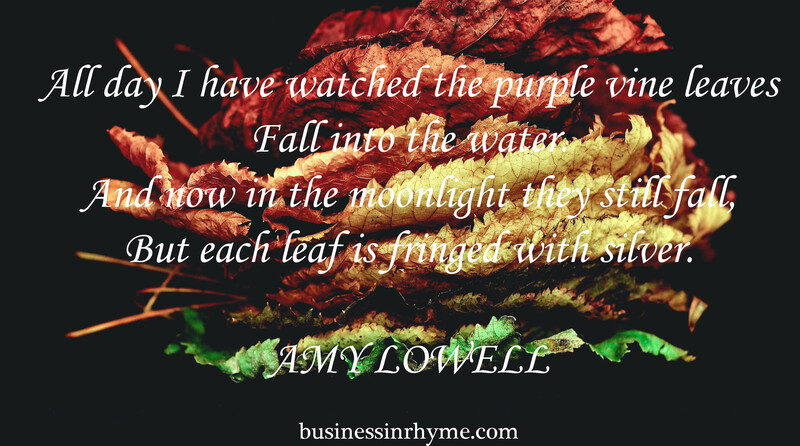 September 24, 2016 September 24, 2016 by Maja Todorovic, posted in Business in Rhyme, Read, write, lead! September 21, 2016 September 21, 2016 by Maja Todorovic, posted in Business in Rhyme, Read, write, lead! September 20, 2016 September 20, 2016 by Maja Todorovic, posted in Read, write, lead! We are all aware that present moment is the place where our power lies. Not in the past or future, but in the now where we can make the most of our lives. Yet, being mindful is not that easy: we often catch ourselves dwelling on the past or worrying about distant events, thus allowing sometimes beautiful tiny moments escape our attention. 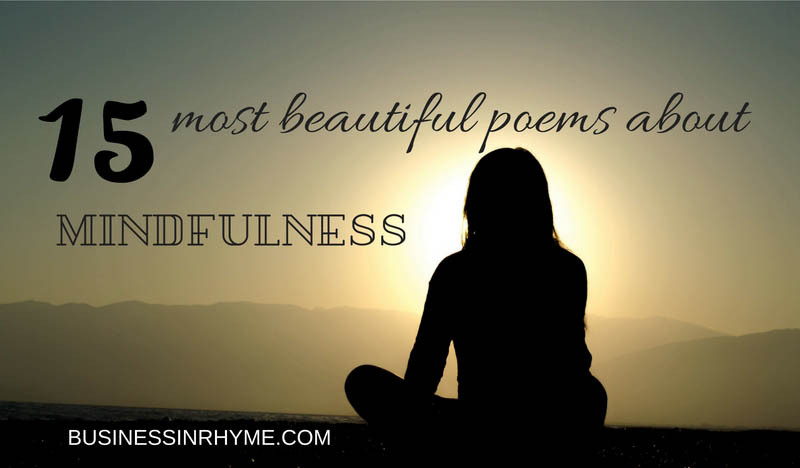 In this post I share my own practice on using poetry for meditative purposes that I found to be helpful. Today I list here my 15 top poems about mindfulness, purpose in life and happiness. I hope you’ll enjoy them as much as I do. The trees before you and the bushes beside you are not lost. If you leave it you may come back again saying Here. No two branches the same to Wren. not even if you get your way. you have not known true peace of heart. and all your soul will rest. You do not need to leave your room. Remain sitting at your table and listen. Do not even listen, simply wait. Do not even wait, be quite still and solitary. the soul is restless for such silent music. the soul longs for such unembodied love. the soul longs for this formless truth. or your grandma’s china will make you safe. Once Jane Austine said that life has turned into a “succession of busy nothings” and unfortunately I have found a lot of truth in her words. We often forget what really matters and get caught in petty, trivial things that deplete our time and energy. About 2 years ago, I took a radically different approach to my life – mostly provoked by my health issues. 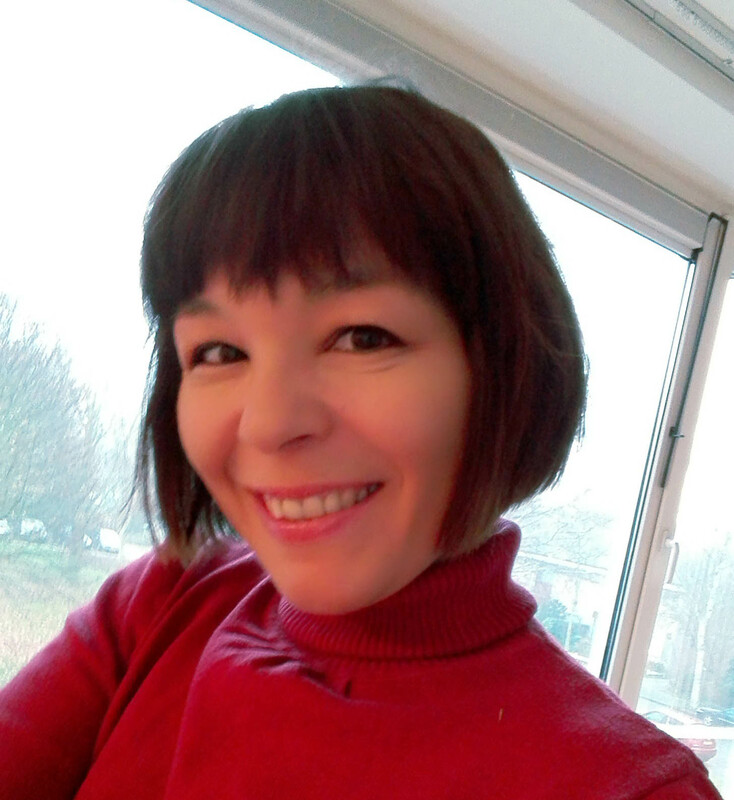 I began to simplify and minimalise everything I could – from physical stuff, what and how I eat, my everyday habits, what kind of thoughts and conversations I “consume” and interesting – beside the momentary benefits like feeling more free, relaxed and lighter (in every sense!) a need for poetry was born again. And I truly believe in the saying “Less is more”, where minimalism and poetry enriched my life on so many levels. Today I will not speak much of a poetry, but rather I will try to share my tips and views on simplification, which can help in your writing, work or business; to find what really matters, prioritize and do more of the things you love. In the long run, you will feel more content and accomplished. I know we usually want to please everybody, but try to analyze your obligations more clearly and think: are all those meetings, tasks and chores really necessary? Today? What can’t wait? What can you delegate? What requires your personal, undivided attention? Once you manage to clear your schedule (just a little bit :-)) you will be more productive on the things that really do matter. According to International Association of Business Organizing a typical U.S. worker is interrupted by communications technology every 10 minutes. It’s a productivity killer and developing habits of focusing at a priority task is of vital importance in gaining time –which is your most valuable asset. This is especially important in our business culture – everything requires approval, signature ext. Sharing files and templates among coworkers can help reduce incoming e-mail and paper jams. Once you set your priorities, try to find any gaps where you can develop your own shortcuts to make processes lean as possible. Focus your resources on the things that matter the most. Don’t get me wrong: I know, for the writer this one can be really hard. I personally love the smell and the sound of lisp paper. I love having blisters on my fingers from extensive handwriting. 6.Adopt the Zen productivity mindset. Besides forcing you to focus on essential tasks that have a large Return on Investment (ROI), it forces you to eliminate the non-essential tasks. No other system forces you to do that. It forces you to make the best use of your time. It forces you to limit the time you spend on things, which means you have more time for other things that are important to you, and you are able to focus on what you want to focus on, instead of everything coming at you. It simplifies your life and makes you less stressed out. In a nutshell, limit yourself how many tasks a day you are going to execute; do one task at a time – and put rules on repetitive tasks – like, you will check your e-mail only twice a day. It’s an edgy idea but worth a try. 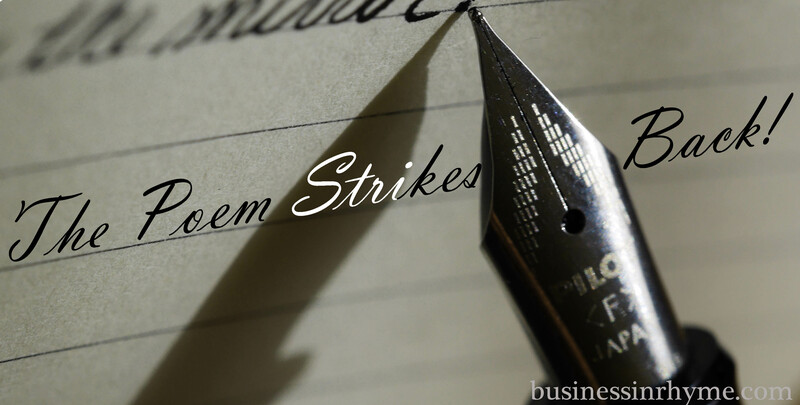 In my post What writing haiku taught me about business the notion of simplicity also came forth, but we can always challenge ourselves even further. 7.Cut the the weeds at their root. It’s so easy to go back to the old habits. Once you realize you are starting to overcomplicate things again, go back to the rules. Adopting minimalism as an entrepreneurial mindset takes time and effort. Once you see the benefits, “busy nothings” will dissolve by themselves.